Day 25 Rule: Switch to Sweet Potatoes. Let’s be clear. All potatoes have fiber and awesome nutrients that you can definitely use more of in your life. Very few people have a shortage of regular potatoes in their lives, which is why for the last 5 days of this challenge, you will be all about sweet potatoes. Nutritionally, they edge out white potatoes in several categories. 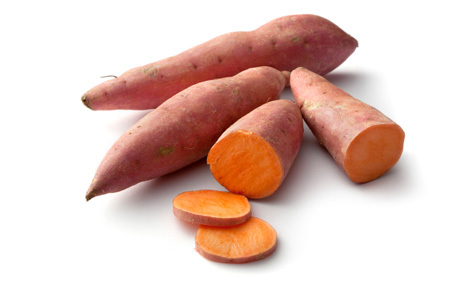 With more fiber and insanely high amounts of vitamin A, sweet potatoes are where it’s at! Did I mention they’re lower in calories than white potatoes? And you can cook them in all the same ways. One of my personal favorites is this recipe here.